Officers: Harry Hepburn, Mark Potter, Andy Rostron, Simon Stoye, David Woodall. 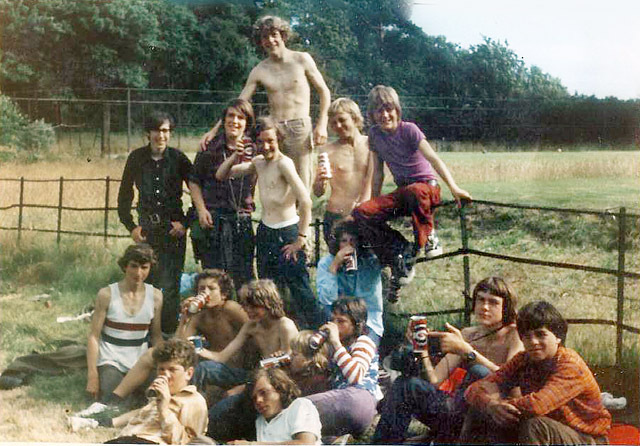 Boys: Jamie Bomphrey, Roger Butler, Malcolm Cobb, John Courtman, Ian Darlington, Hans Dobson, Graeme Dunlop, Nicholas Fletcher, Terance Geeson, Kingsley Hampton, Andrew Hayes, Timothy Hellier, Chris Jeffries, Quentin King, Richard Le Sueur, Richard Owen, Philip Parsons, Christopher Price, Graham Reeder, Huw Reynolds, Edward Rose, Glyn Savage, Tony Shaw, Nicholas Smith, Paul Spreadbury, Michael Thirkettle, Alan South, Patrick Thompson, Clive Tucker, Rhodri Wilson. My first thought about Jura was - After we'd hiked the ~4 miles from the drop off point (a few of us 'volunteered' to walk with our packs as the small boat transporting everything across the loch was quite full) and had finally set up camp, I sat on the promontory overlooking the jetty into Loch Tarbert. 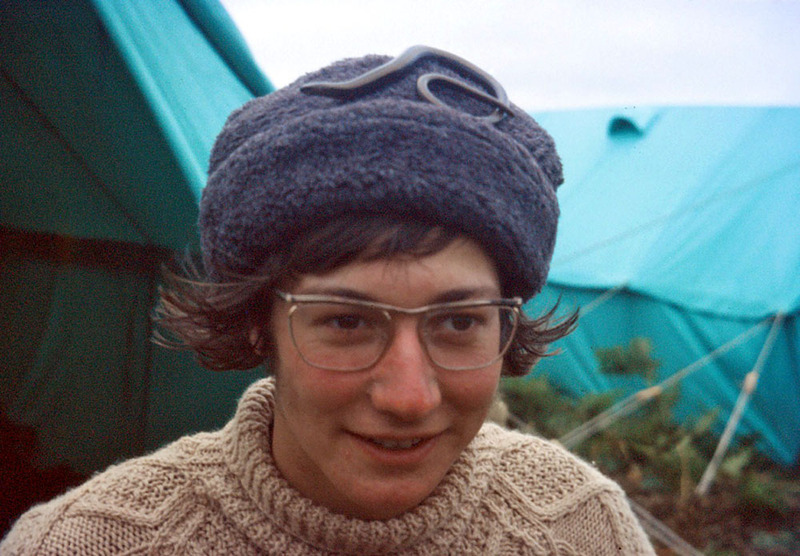 I was tired, damp (I'd bought a new 'safari' jacket for the trip and it was rubberised inside to make it waterproof, only it also prevented any air circulation so all the sweat soaked into your clothes!) and hungry. I looked out across the loch and thought 'if there were a train back to Kent right now, I'd be on it'. Not a good start to a 2 week expedition. As it turned out, I would have missed a fantastic trip. Stop press! I've just discovered (well, to be truthful, my wife just discovered) my Jura photos. Not exactly works of art but they have filled in a few gaps, some above and below. 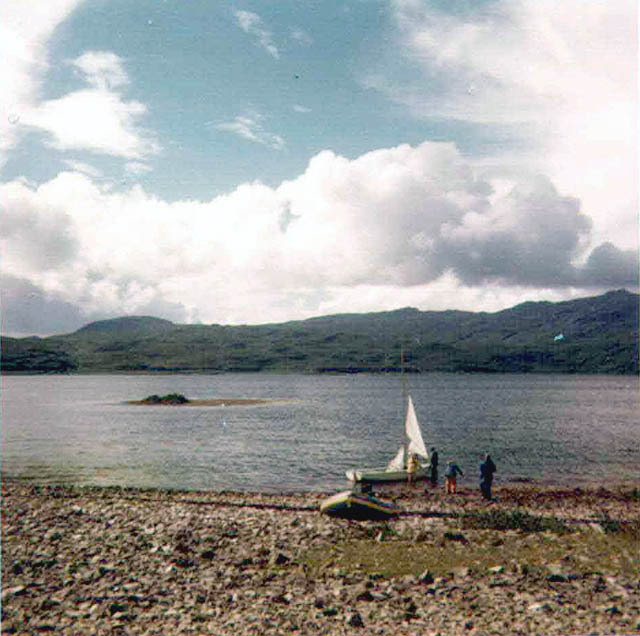 Two views of the shore of Loch Tarbert at Cruib Lodge. 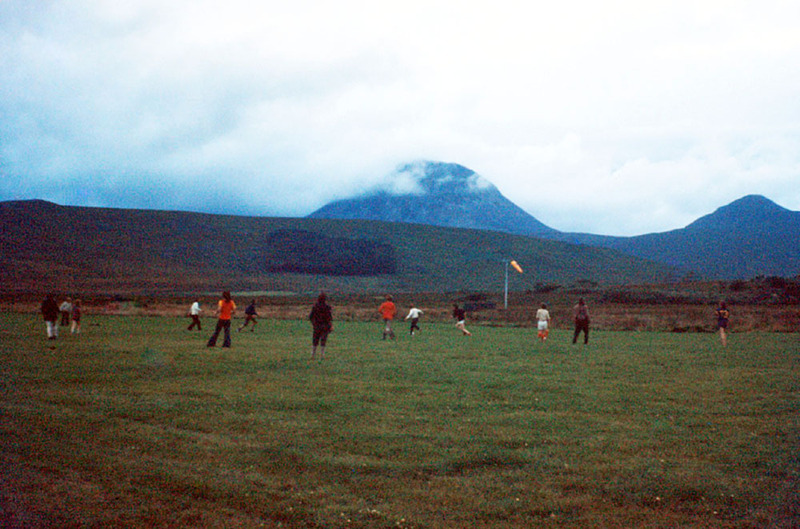 Recollections from the trip to Jura. I can remember quite a few isolated incidences but as I think through them I’m not certain the memory is wholly correct. Take for example the canoe bivvy I am trying to piece together. What I think happened- a group of us used the canoes to paddle westward along Loch Tarbert the 4 or 5 kilometres to the caves between Rubha Liath and Rubha Gille nan Ordag (I didn’t remember that much detail but I looked it up on the map!) The cave was quite large and from memory quite full of sheep droppings, but we put sheets of plastic down and slept in our sleeping bags with perhaps a camp fire in the entrance. I can even picture cooking some food on the camp fire or maybe a gas stove. 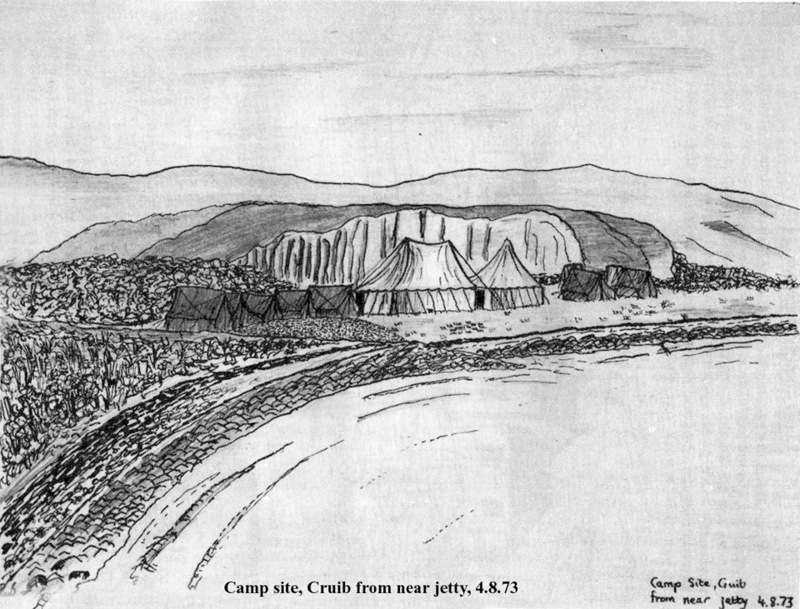 My overriding memory though is that when we set out to canoe back to the main camp at Cruib the tide was emptying the loch and the wind was quite strong, blowing westward with the emptying waters. I managed to get side on to the wind and found myself getting further and further behind the main group. Whether due to a lack of canoeing skills, larger surface area/greater wind resistance or just misfortune, I could see myself being swept out into the open waters of the raging Atlantic. These visions were enough for me to rally my strength, swing the nose of the canoe into the wind and after some frantic paddling I managed to catch up with everyone else (my alternative strategy was to paddle like mad for the shore and wait until someone missed me). When I reached the others they had been oblivious to my pleading shouts and two fingered whistling, usually enough to attract attention over several hundred metres but into the strong wind they had been lost. The rest of the trip back was uneventful and I think calmer once we’d got a little further up the loch. The reality must be a little different. 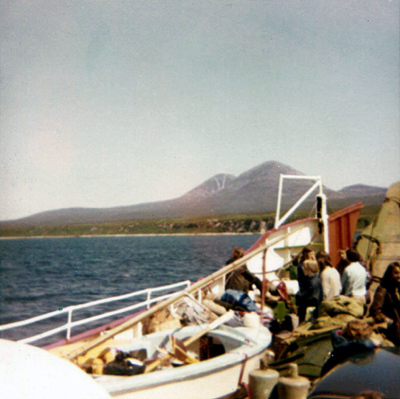 I read from the 1973 S.H.S report that there were 3 canoes on Jura, therefore 3 people on the bivvy, not as many as I’d thought. I’d assumed we’d gone with the boating officer which appears to have been Andy Rostron, if he did go then there was only one of my friends with me and I have no idea who that was. I also wonder now how we transported sleeping bags, walking boots, food, gas stove perhaps and presumably water to the caves, could you stuff that lot into the canoe? Maybe the dinghy came with us and brought it to the cave, or one other possibility, the canoeists made one leg of the trip, meeting the remainder of the party who’d walked carrying the supplies then swapped over for the return. If anyone remembers I’d be pleased to find out – although I’ve lived the last 40 years without knowing so I doubt much will change! 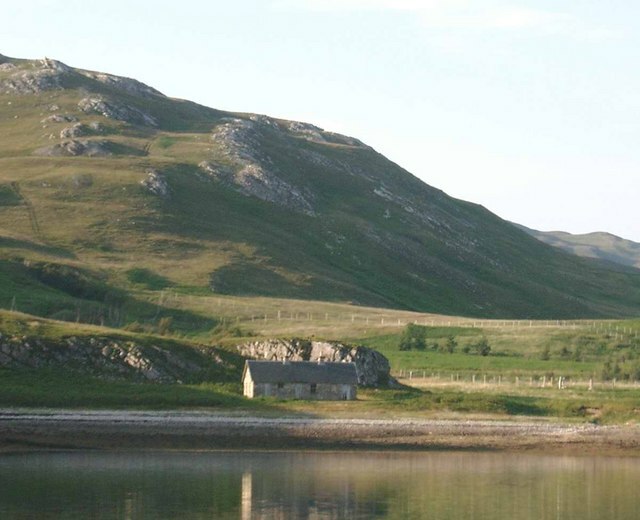 The Corryvreckan bivouac, 2 nights. Fortunately I have the names of the other two from the S.H.S report. They were myself, Mike Thirkettle and Paul Spreadbury. 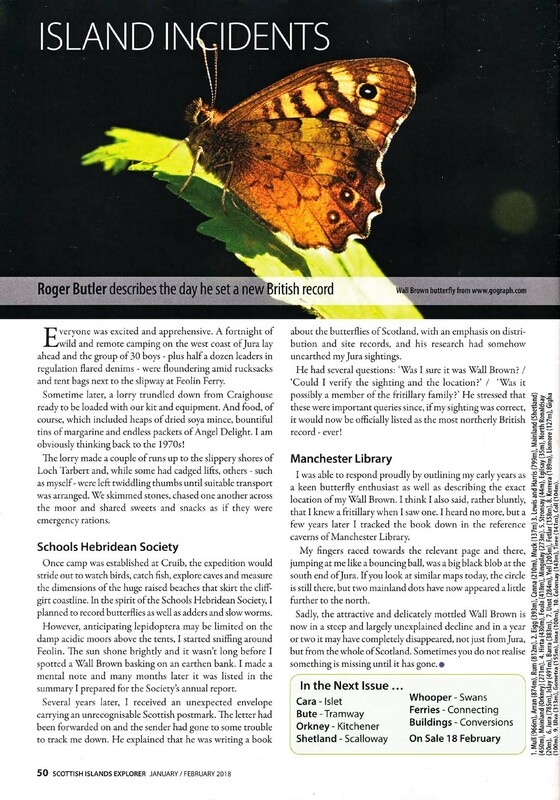 Thanks to Paul’s report I can piece that trip together fairly well although there are a few differences and additions. 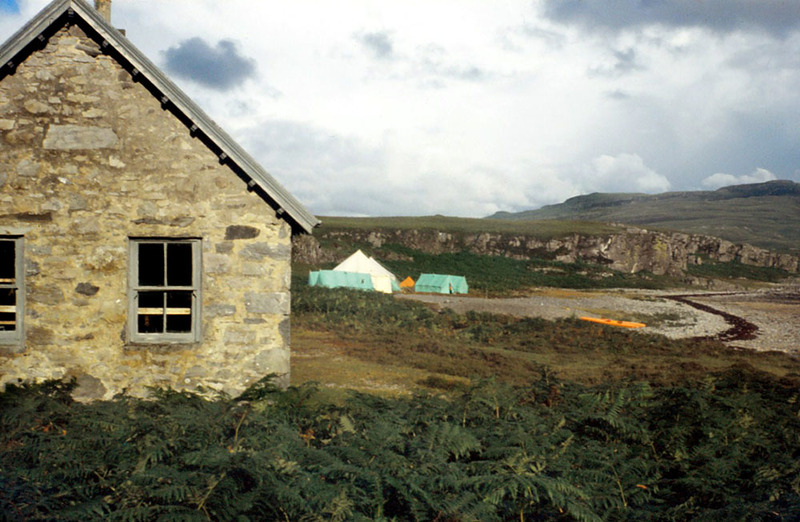 The walk from the camp site at Cruib Lodge to the road is about 3.5 – 4 miles depending on the precise route. 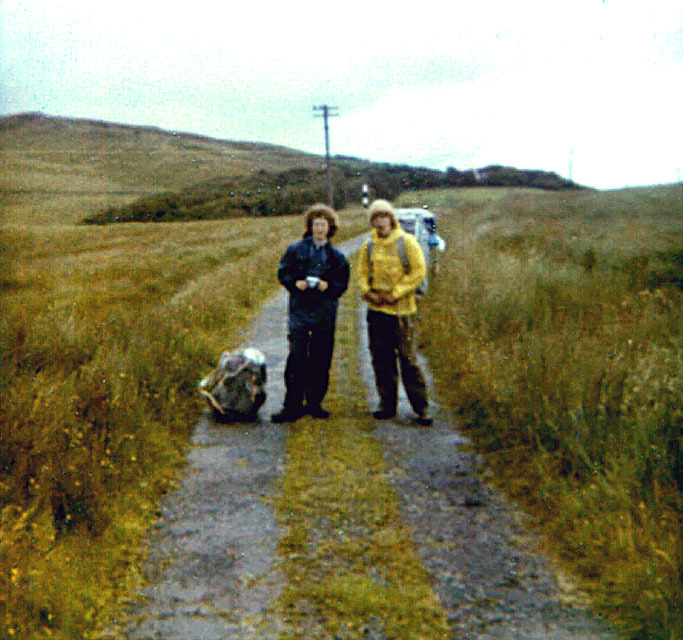 So we did indeed walk to the road and celebrate when we got there with a packet of biscuits (I have recollections of trying to spread them with margarine for some reason!) Anyway, a van – I’d say caravanette of the VW type, appeared and we leapt up and hitched a lift, still clutching our biscuits. Having read Paul’s report I think I agree with the fact that we got the second lift with Jamie Nelson in a land Rover from Ardlussa to the end of the track beyond the made up road but I also think that someone offered to take all our packs and leave them beside the post box possibly at Ardlussa, as he wasn’t able to get us into the car. This probably means the carvanette didn’t deliver us all the way to the end of the surfaced road. It seems odd to think of giving your backpacks to a random stranger passing in a car, but they were different times (although I suspect it would be no different now) and island communities have a different feel to them – where could he take the backpacks? We followed the advice of Jamie Nelson as to where to pitch camp and walked the last couple of miles across the boggy terrain. It was on this last section of the journey that we got our only view of the swirling turbulent waters of the Corryvrecken Whirlpool, the third largest whirlpool in the world. We set up tent (fortunately we’d had the foresight to have a trial run of putting up the bivvy tent before we’d set out, it was lucky we had as the tent we’d taken from the store was in fact a spare toilet tent, (with a footprint of about 1m2) and had some food before turning in. The following morning we awoke to find the tent swarming with midges, ready to get us the moment we exposed any vulnerable flesh! 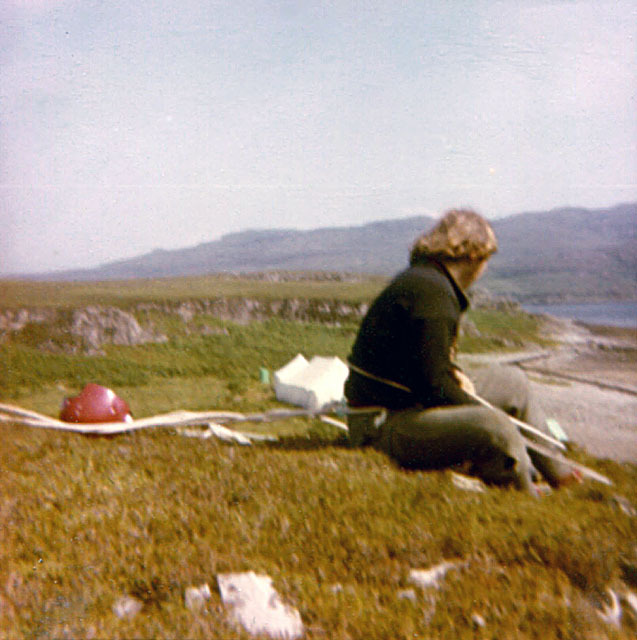 We quickly left the tent and walked the remaining few hundred yards to the northern end of the island. 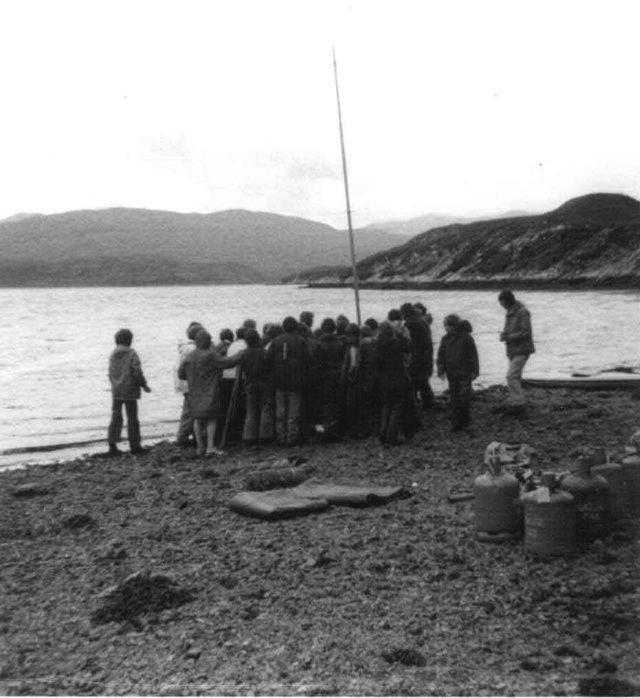 It was a good vantage point to view the stretch of water between Jura and Scarba but the tides were wrong to see anything of the whirlpool and as we didn’t know when anything interesting would happen we had to give up, pack up camp and head back. We’d cleverly left our waterproofs in the tent when we’d walked off first thing to try and get another view of the whirlpool, and unsurprisingly it rained quite hard while we were out. Now quite wet we set off on our way back eventually to Cruib. 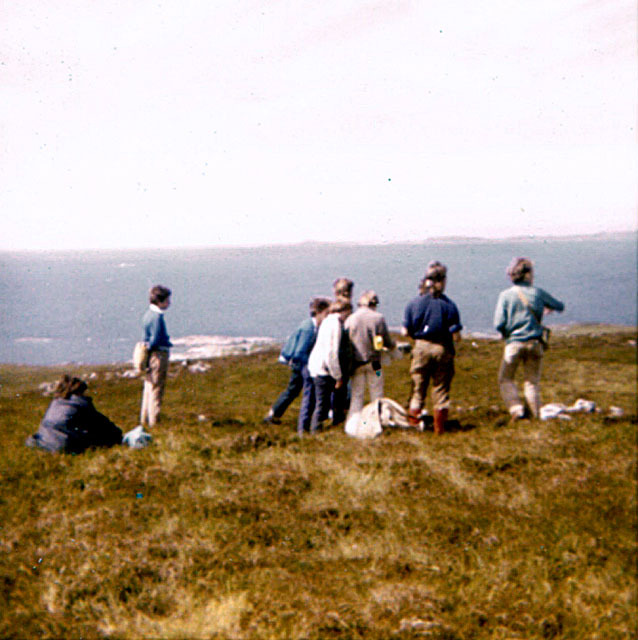 We walked the ~10 miles back to Ardlussa and I assume it was by arrangement that we met Mr Nelson again and with his permission and in return for our help clearing rhododendrons from the woodland, stayed overnight in the old schoolhouse. 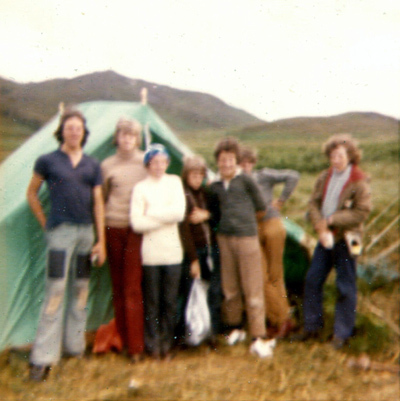 At some point during the return journey we encountered a family in a tent who invited us in for a hot cup of tea and biscuits, I think it was on the walk back to Ardlussa. 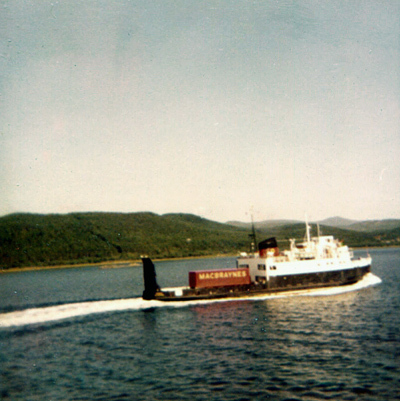 The husband/father was, from memory, a ferry captain somewhere in the UK but I don’t remember where or much else about them. At the old school house Mr Nelson brought us milk, a bottle of beer (each?) and some fresh trout he’d recently caught, we had wood for the fireplace and plenty of chance to dry out before the easy ~8 mile walk back to camp the following morning. The campsite from the top of the nearby ridge and right a stake with all our names on (which I don't remember). Most historical references to Jura are, sadly enough, equally scathing. 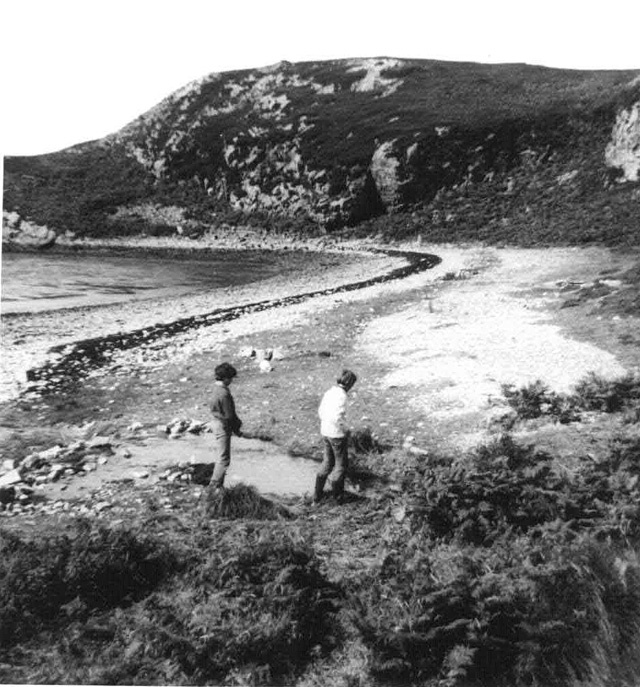 Although Jura has changed very little since Turner was alive, our appreciation of the island has altered dramatically: we now value its wildernesses and solitude. And what a superb island we found it to be! The distant view of Jura's long grey shape dominated by the pyramid shapes of the Paps led to expectations which were fully realised. We were the fourth SHS expedition to discover how much Jura has to offer. An island full of contrasts - a walk of a few kilometres might pass through several different landscape types; from the exposed and broken coastlines of the west across rocky mountains with swift streams flowing peat-brown from hidden lochs, to the softer environs of the east and its farmlands with the hay part-ricked, its afforested expanses of Douglas fir and stunted woodlands of oak, birch, ash and hazel. —It is easy to get carried away when trying to describe Jura. However, it is not entirely divorced from the task in hand which is, in the words of the Editor, to "sum up the expedition"! for I feel that it was because we made full use of these splendid natural assets that the expedition was so enjoyable. 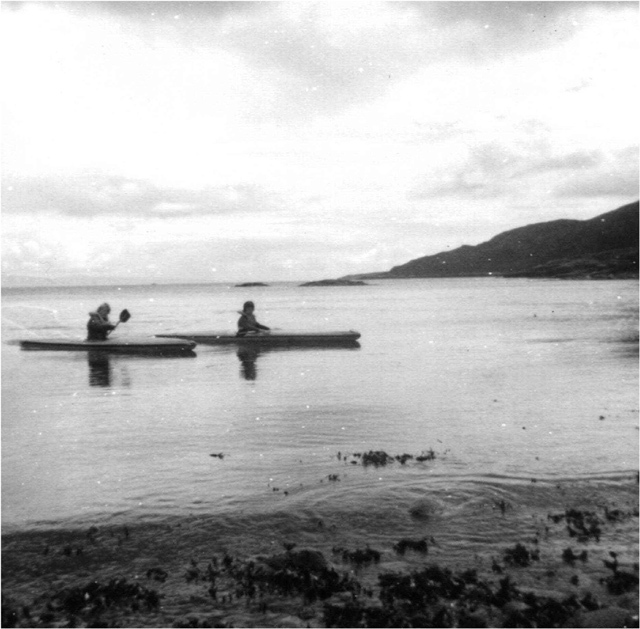 Canoeing, for example, was perfectly catered for in the protected waters of the middle loch. 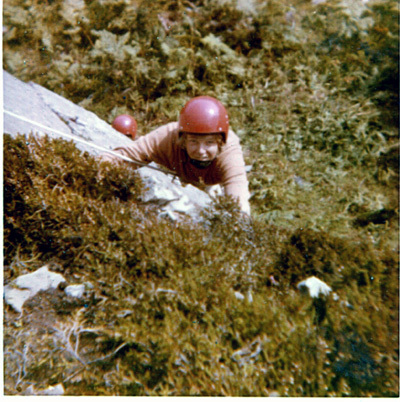 From the very first day, Andrew organised training sessions so that most people rapidly reached a standard of proficiency allowing them to go out without officer supervision. In addition to the three canoes, we were fortunate to have both a new Avon Redseal dinghy and the Society's new Wayfarer. Both contributed immeasurably to the expedition. 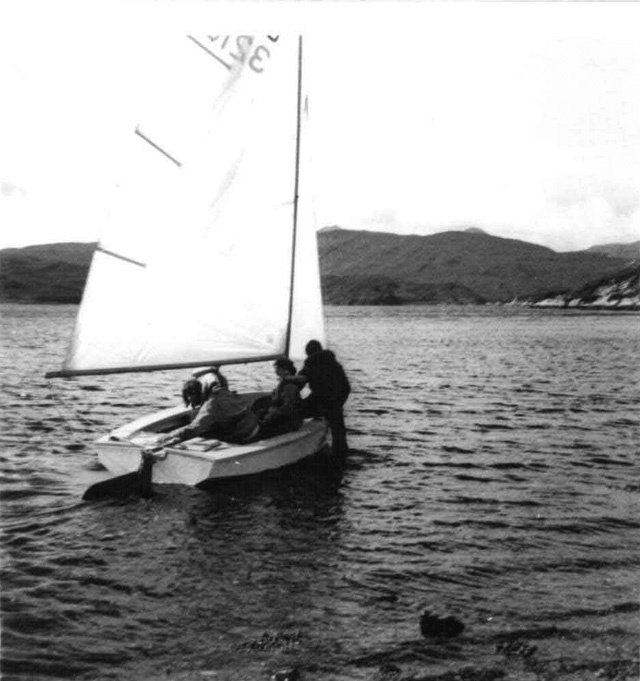 The rubber dinghy was a vital 'runabout', being our most important link with the head of the loch and thus the outside world. During the time at the start of the expedition before Harry went back to Kennacraig to pick up the Wayfarer's forgotten sails, Simon made himself indispensable as a ferryman for parties going across the loch. 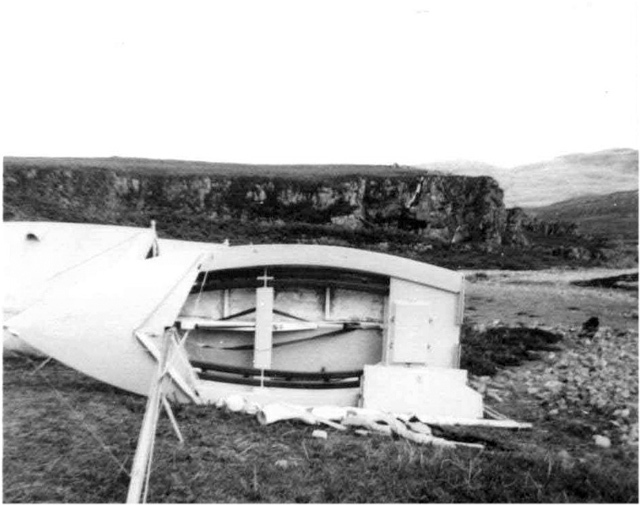 We felt the loss when the sailing dinghy was ready for action and he could spend less time on this. 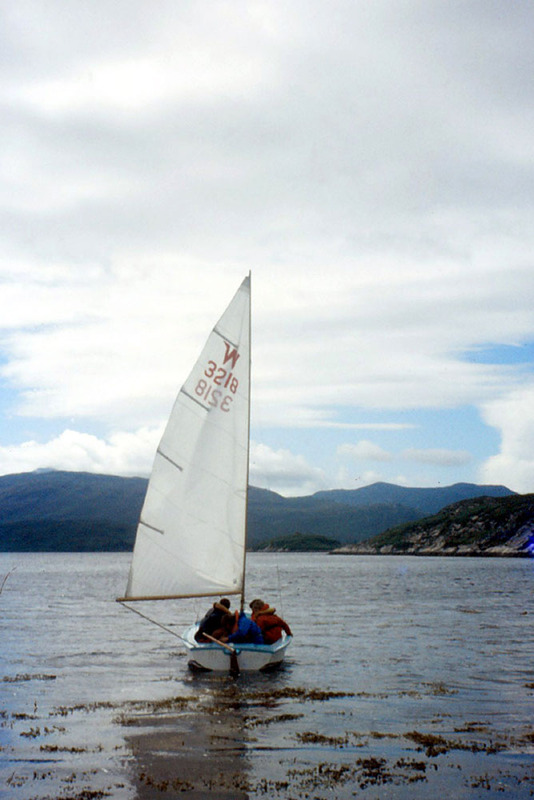 Loch Tarbert provided good sailing, but the highlights for this activity were the sail to Colonsay, and the victory in the Jura Regatta. 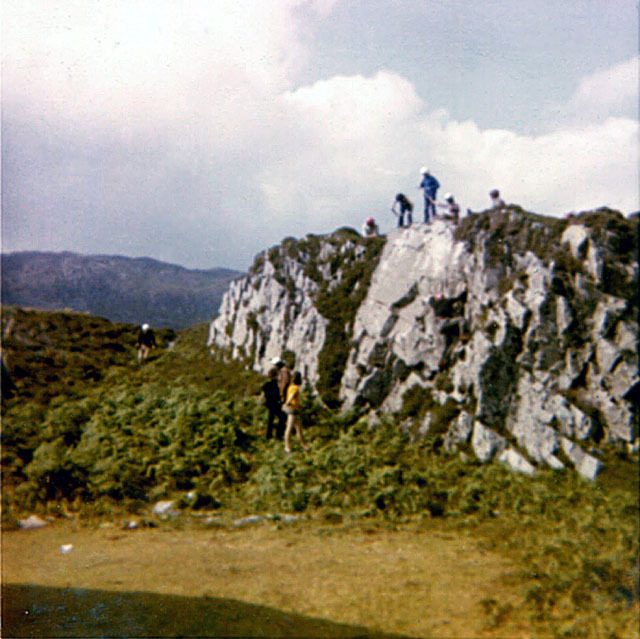 The cliffs around our campsite at Cruib were inadequate for anything other than practice climbs; however, the rock-climbers, inspired by Harry, were able to visit crags in other parts. During our stay a good deal of project work was under-taken, perhaps the most popular being Ornithology. Most days saw new sightings added to the tally; the final count was seventy. I am certain that the ornithologists were the hardiest members of the expedition in that they rarely allowed poor weather to disrupt their project. This must surely account for the large numbers of ducks spotted. 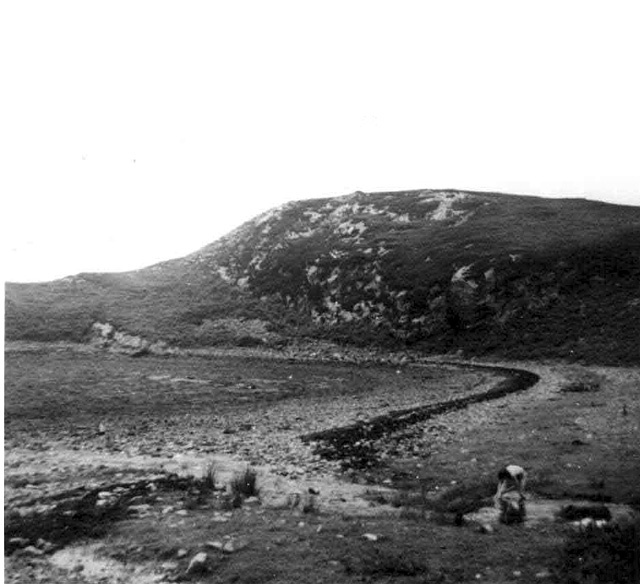 Geomorphology and a settlement survey existed, but didn't flourish as did ornithology. An activity in which everyone was involved at some time was bivouacking; indeed, this was the only way to see much of what Jura offers. Bivvy parties trekked to the Corryvreakan whirlpool and up the Paps; sailing, canoeing, fishing and bird-watching bivvies were organised and enjoyed by all concerned. One of our major problems was a lack of musical talent. However, Eddie and Dave tried to make up for this by leading the singing most evenings in the bothy. 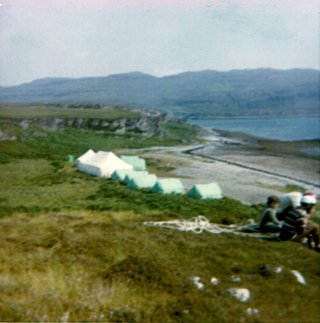 The remoteness of the campsite limited the contact we had with the islanders somewhat, but whenever meetings did occur excellent impressions were left on both sides. 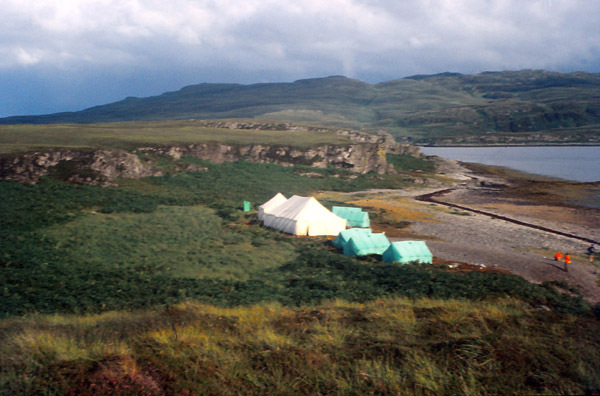 In common with most expeditions we found that Hebridean hospitality is generously dispensed. At the Ardlussa Sports everybody seemed quite happy to see our party of thirty-eight arrive from the far side of the island and carry off prize-money to the tune of several pounds! 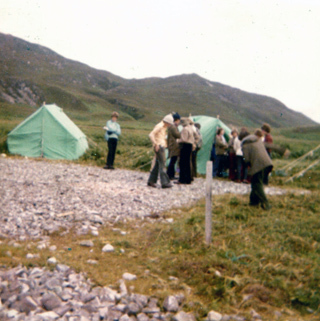 At the end of an expedition like this, one is always left with a large number of favourable impressions, amongst which are one or two which in time will crystallise out of the rest, and will represent 'Jura 1973' in our memories. For my part, I shall never forget the prize-giving at the Ardlussa Sports where the restrained and civilised hand-clapping was smothered by deafening cheers from the expedition as members stepped forward to receive their prizes; or the pleasure with which the fishermen, after so many fruitless trips, announced their first - and, sadly, what was to be their only - catch. 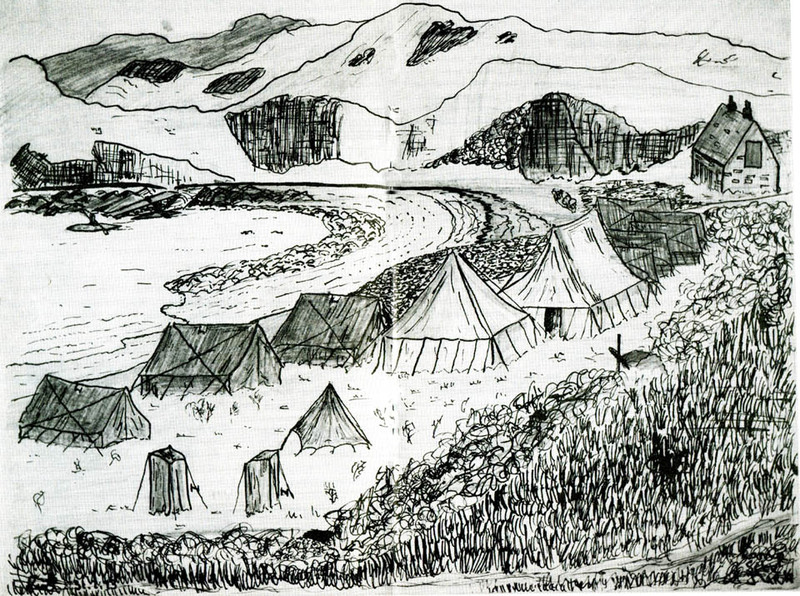 The expedition had a great spirit which is perhaps inevitable when such a superb group of people set out to enjoy themselves on an island fit 'for deere and other wilde beastes'. 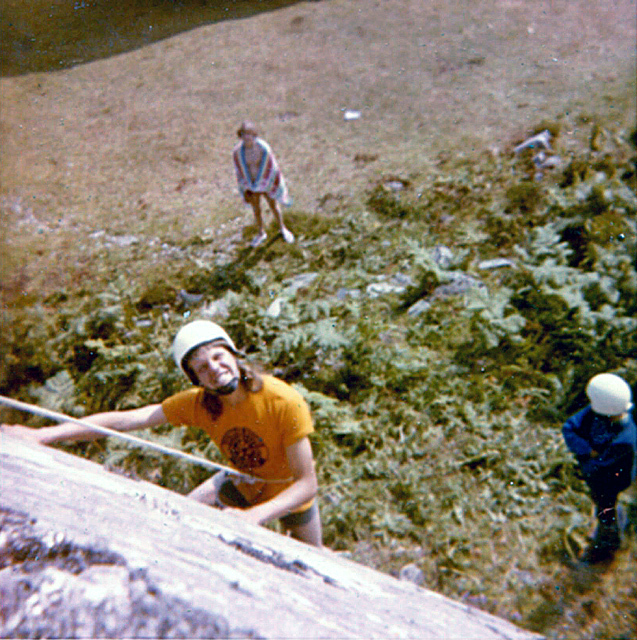 Special thanks must go to Phil for his advice; Roger for his vast help at the start of the expedition; Mary for her efficient work, often at short notice; to Neil, Donald, Jock, Charlie and Mr Paton for help with our transport problems on Jura; and to the Nelsons, the Astors, and the Jura people for their hospitality. 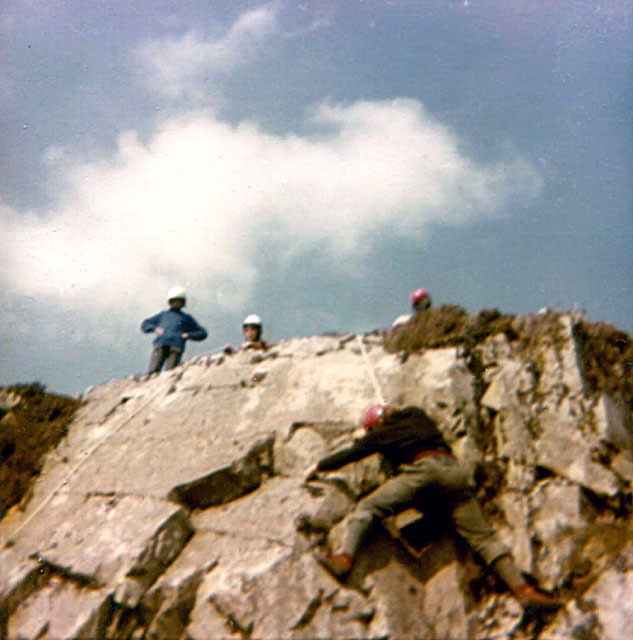 Above :- Some more of my blurry photos - the first 3 are Simon Stoye abseiling, belaying and climbing and the 4th is the small rock face we used for practice climbs. 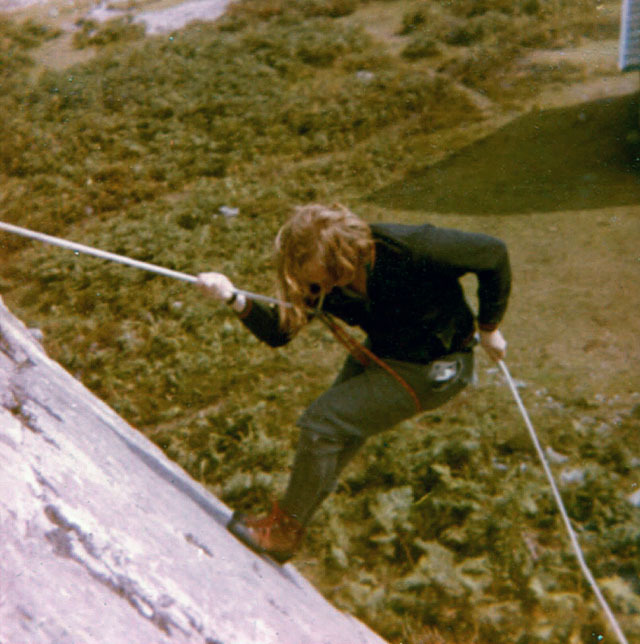 Below:- Dave Woodall climbing. Mick Thirkettle and Paul Spreadbury on our Corryvreckan bivvy. 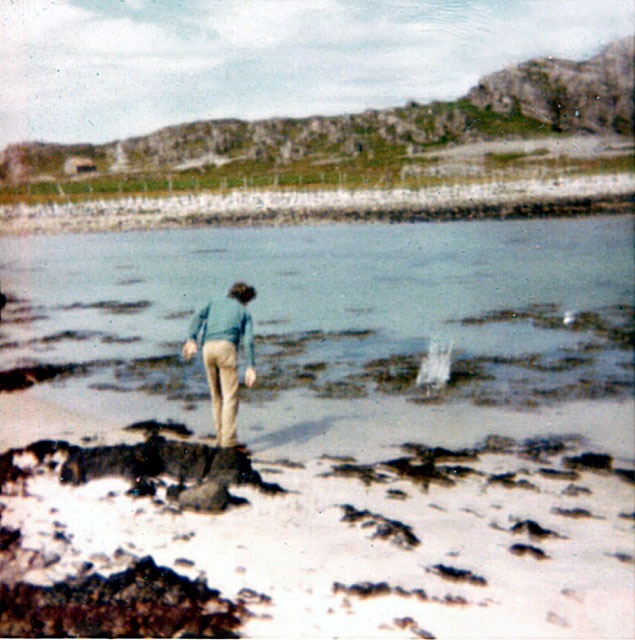 View towards Colonsay and Oronsay and Rhodri Wilson skimming stones. Thanks to Roger Butler for sending these two in, he also lays claim to the two sketches shown above. 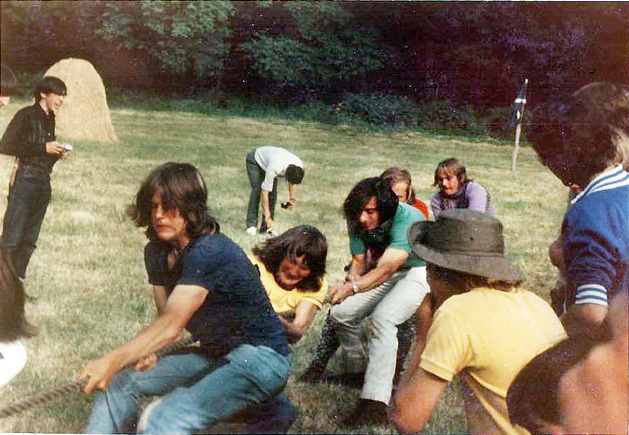 Tug of war, Ardlussa games. 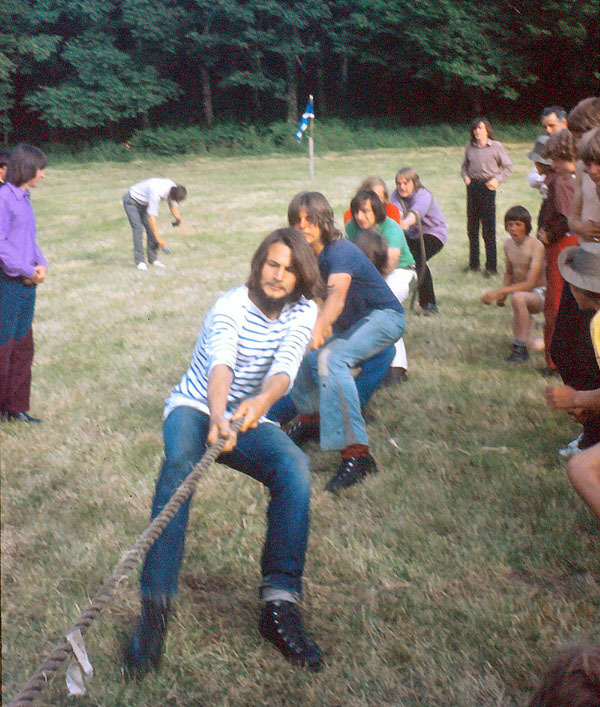 "The person at the back of the rope in the purple top is Eddie Stuart and the others were leaders too."